Corsair is showcasing their own custom liquid cooling components at Computex, including water blocks, CPU blocks fittings, radiators and reservoirs. Read more on Corsair's new custom liquid cooling components. If Corsair releases some proper water cooling cases this will be epic for OCD freaks. Just please more white thingies. Edit: Are you reading this Corsair????!!!! Neither are their AIO, but you see them in different prices form different manufacturers. 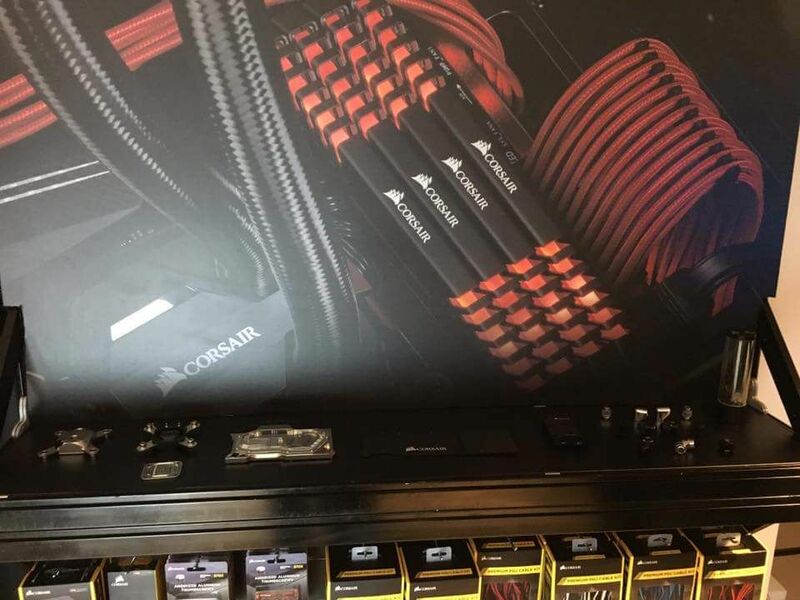 I dont really see, except for small laser etching, how they are going to differ "their" blocks, also they wont be cheaper and the aqua computer blocks are already expensivem, so why would anyone get them with a small corsair branding on it? Makes no real sense to me. so why would anyone get them with a small corsair branding on it? Makes no real sense to me. Cause it's exactly that, it's Corsair. The same way people pay ridicolous prices for Titan GPUs, cause it's Nvidia and an Titan card. I would love some "fancy" fittings, but the prices. I can't justify the prices to myself or my wife. So I'm stuck with normal barb fittings that came out donkey years ago simply because they are far cheaper than the rest.